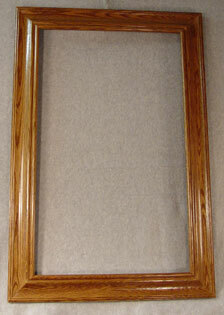 Each frame is made by hand. 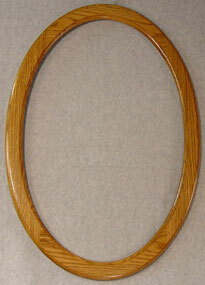 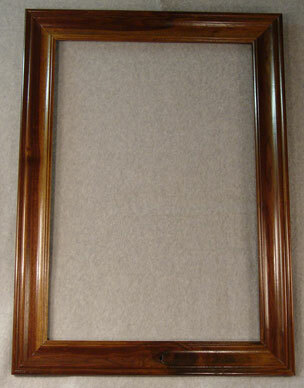 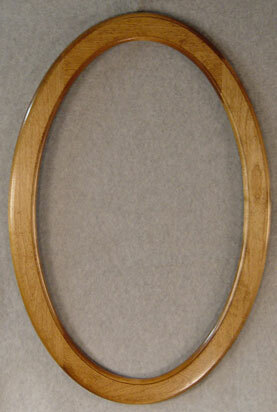 I can build a frame to your specifications. 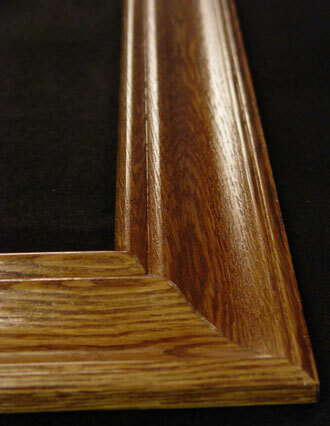 Send a quote request today. 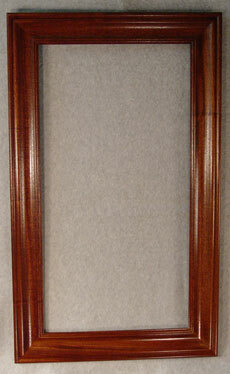 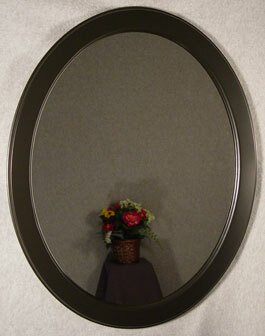 Floor and leaning mirrors can be built in sizes up to Eight feet tall. 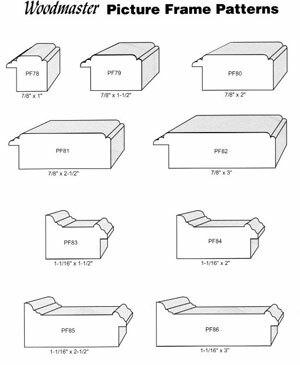 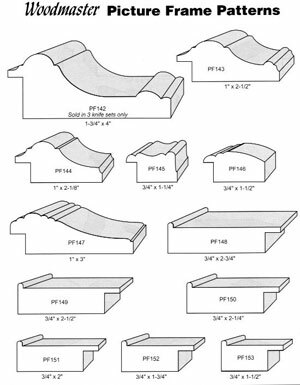 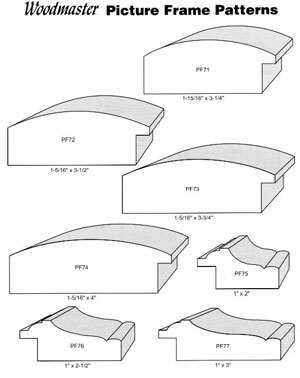 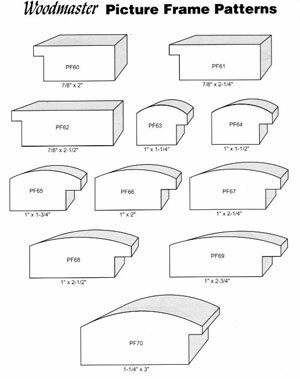 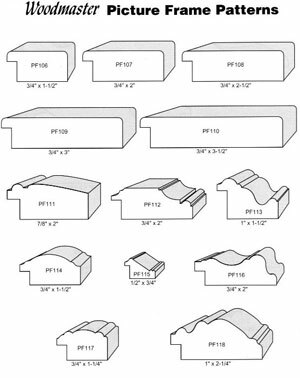 Standard sizes are 20" x 30", 22" x 32", 24" x 36" and 25" x 31"
These are my standard profiles. 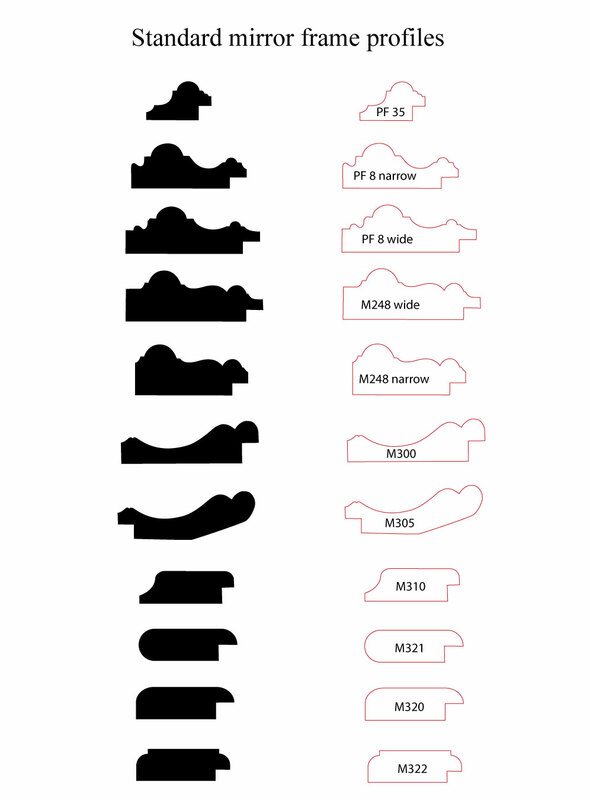 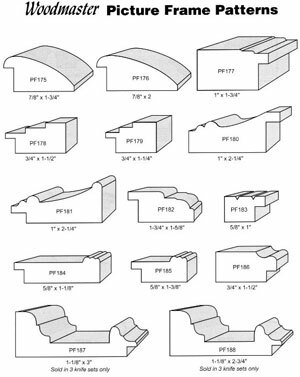 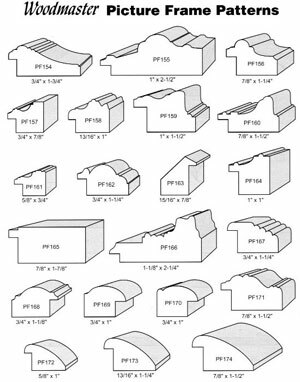 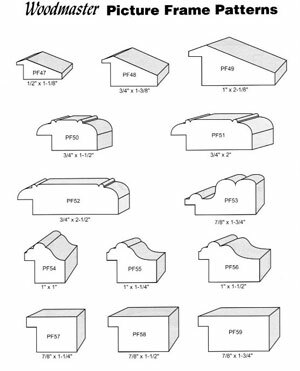 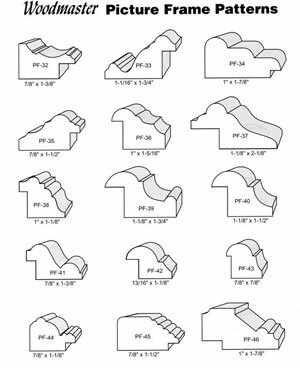 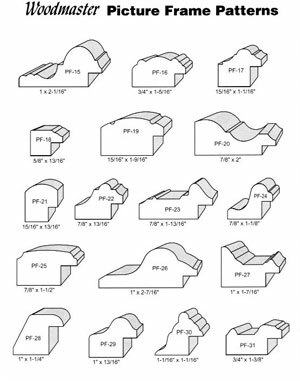 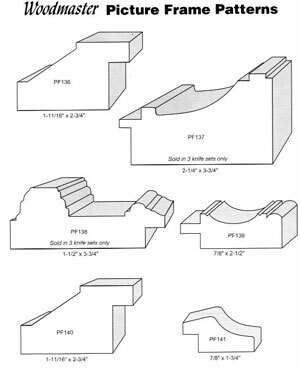 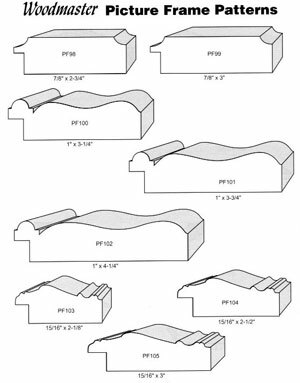 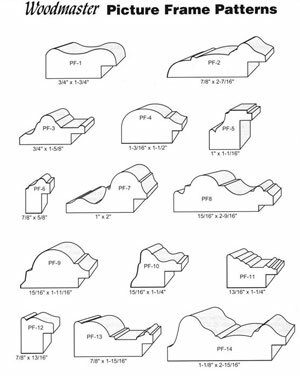 These are profiles I have chosen to use for stock frames. 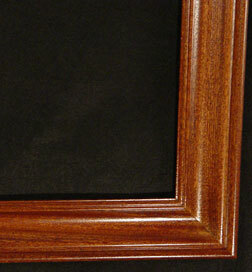 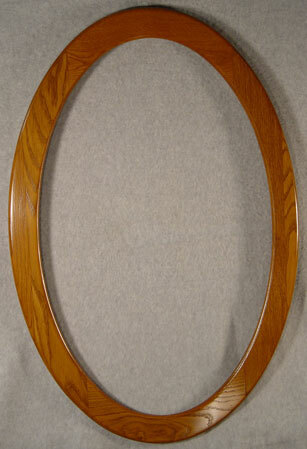 If you would like a custom profile I proudly use Woodmaster Tools. 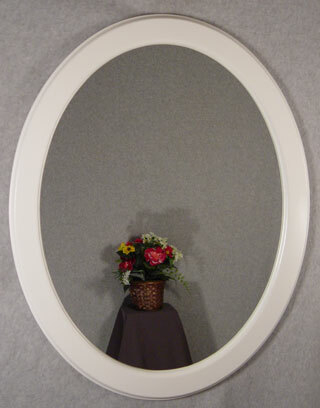 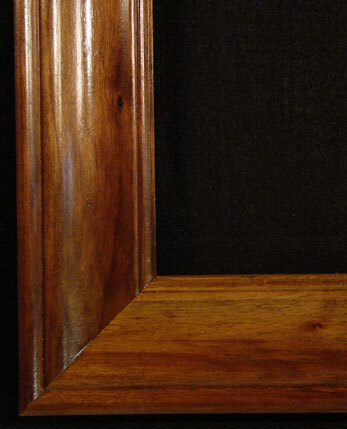 Here are their profiles for picture and mirror frames. 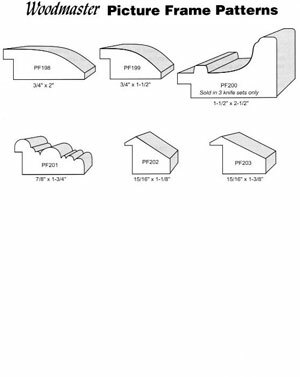 I can also make custom profiles that are not shown here. 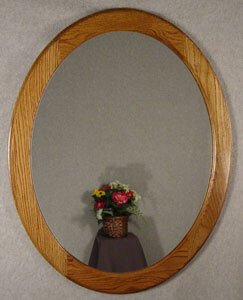 Please contact me if you have a profile you are trying to match. 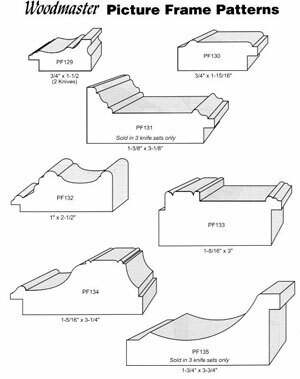 Please note that a set up charge applies for non standard profiles. 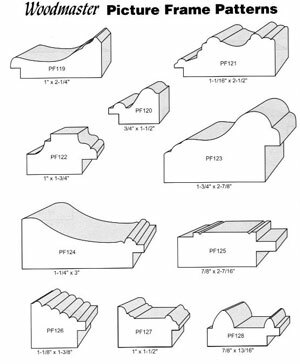 Download the Woodmaster profiles in PDF format.